California’s new bathroom bill is finally making broad steps toward more inclusive legislature. According to Mashable, California Governor Jerry Brown signed a bill last week that will make all public, single-user bathrooms "universally acceptable to all genders." The law will go into effect on March 1, 2017, and is a huge step forward in making bathrooms safe for transgender, gender non-conforming, and non-binary individuals. The thing that makes it so great is that the bill, which was sponsored by activist groups like Equality California, the Transgender Law Center, and California NOW, boldly stands against the fact that 19 states considered enacting gender-restrictive laws this year. Only one state went through with it — North Carolina — causing an uproar among those who view such laws as discriminatory and transphobic. The law still does not affect bathrooms with multiple stalls, but we have faith that hurdle will be tackled, too. Hopefully. 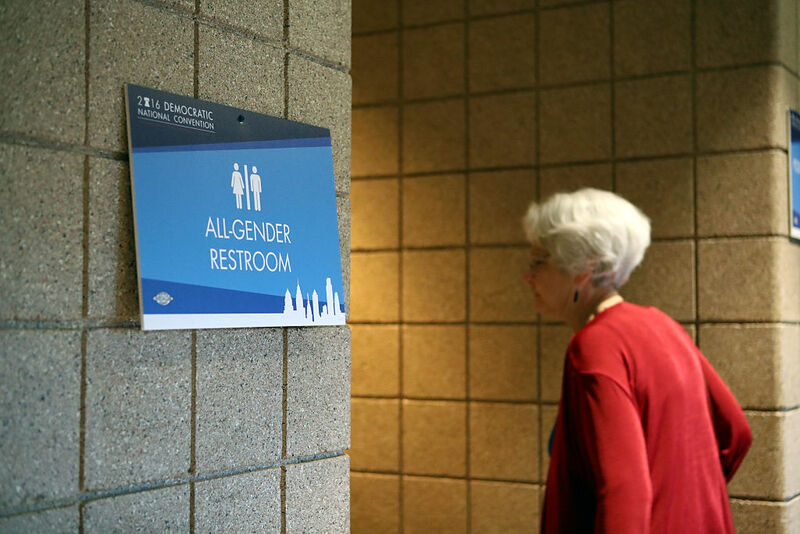 more state legislators will soon take a page out of California’s book to make more inclusive restrooms that don’t breed fear and discrimination. There’s still a long way to go to achieve equality for all!